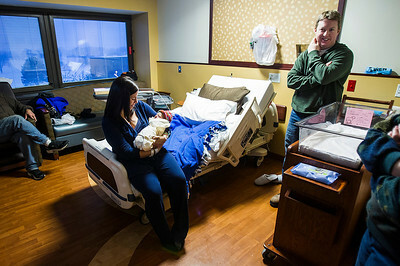 Erin Curtin of Crystal Lake holds her newborn Maci, while the father, Jason, stands by in their hospital room filled with relatives Wednesday in Barrington. 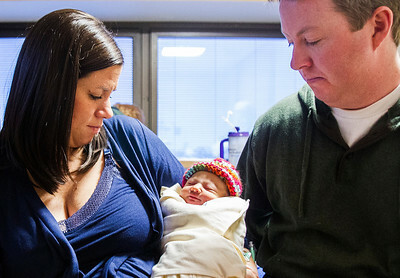 Maci Curtin, born at 12:31 a.m. on New Year's Day at Advocate Good Shepherd Hospital in Barrington is the first child of the New year born to McHenry county parents. 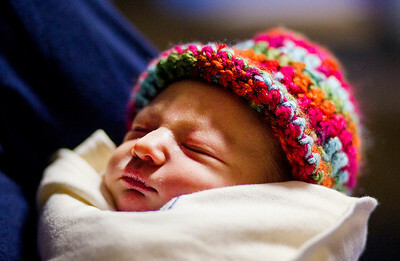 "We're just happy to have a healthy baby," said Jason. 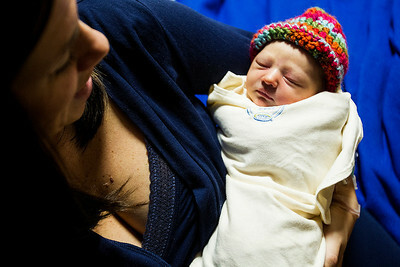 Maci checked in at 6 pounds, 4 ounces and 20 inches long.